It’s that perfect time of year…. PEACH TIME! Nothing beats sweet, juicy Southern peaches warm from the summer sun. I don’t like to do too much to them. I want to embrace their perfection, not mask it. This dessert is a quick one, perfect to thrown on the grill while you each the burgers you just made. 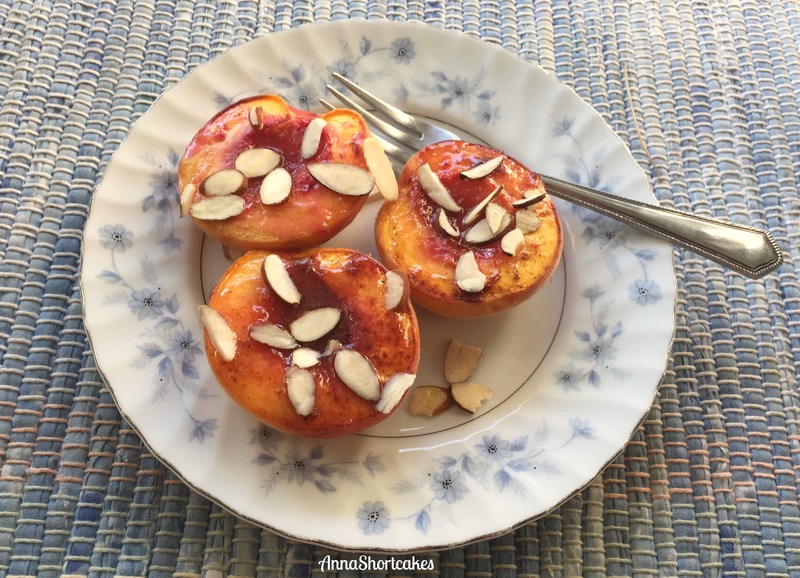 In a bowl, drizzle the peach halves with the honey. Sprinkle with cinnamon to taste. Place on grill over medium heat. Grill for 2 minutes per side. Garnish with the almonds. Serves 2. Absolutely gorgeous, and so many different things to do with these!